NFL overtime format: The new rules are a complicated mess. Here’s how to fix them. 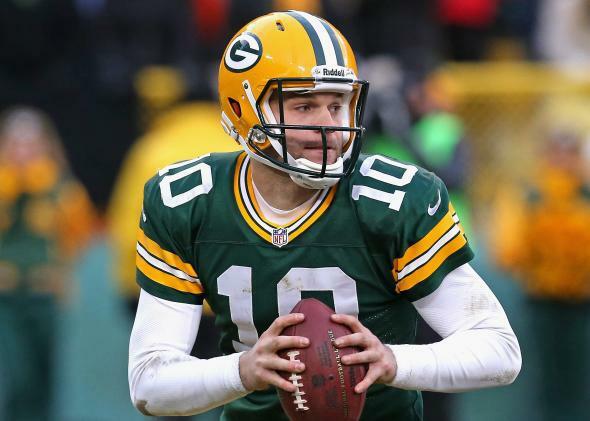 Green Bay Packers quarterback Matt Flynn looks for a receiver while playing against the Minnesota Vikings at Lambeau Field on Nov. 24, 2013. The game ended in a tie. A version of this story originally appeared on the site Advanced NFL Stats. The ostensible purpose of NFL overtime is 1) to declare a winner and avoid a tie and 2) to do so quickly. If ties were acceptable, I assume the league would not bother to even have overtime. In recent years, as offenses gradually gained an ever stronger upper hand over defenses, it became clear that the former sudden-death format gave too much advantage to the winner of a trivial coin flip. We saw time and time again as a team won the coin toss, got a decent kickoff return, earned a couple of first downs, and kicked a long field goal without even a whimper from the unlucky loser of the coin-flipping contest. Something needed to be done. And, unfortunately, “something” was done. The current format is a mess because its effects are contrary to both stated purposes of overtime. It increases the chances of a tie—like the one we saw on Sunday between the Packers and Vikings—while prolonging the overtime period. The new rules are complex and nontraditional. In the event the team with the first possession scores a field goal, the opponent now has a chance to match the field goal or win with a touchdown, and they can use all four downs with no time pressure. And yet, the rules still favor the team that wins the coin toss. 1. Restore pure sudden-death rules. 3. Eliminate the arbitrary coin toss and give the home team the option to receive. Most often, the home team will take the ball; in rare cases, as in New England on Sunday night, the home team can choose to kick off due to extreme weather conditions. This removes the element of pure luck. Teams and fans will accept that first possession in overtime is simply part of what is rightly home-field advantage. Paying attendees will obviously like it. And in the playoffs, it will be seen as a benefit the home team earned by virtue of its seeding from the regular season. Plus, a visiting team that scores a touchdown late in the game to otherwise tie, knowing it would be at a small disadvantage in overtime, may elect to attempt a two-point conversion. This would reduce the likelihood of overtime in the first place.